Boasts 25 Highway MPG and 17 City MPG! This Dodge Grand Caravan boasts a Regular Unleaded V-6 3.6 L/220 engine powering this Automatic transmission. WHEELS: 17" X 6.5" ALUMINUM (STD), TRANSMISSION: 6-SPEED AUTOMATIC 62TE (STD), SIRIUS SATELLITE RADIO (subscription required). QUICK ORDER PACKAGE 29R SXT -inc: Engine: 3.6L V6 24V VVT FlexFuel, Transmission: 6-Speed Automatic 62TE , REDLINE 2 COAT PEARL, POWER 8-WAY DRIVER SEAT -inc: Power 2-Way Driver Lumbar Adjust, MANUFACTURER'S STATEMENT OF ORIGIN, ENGINE: 3.6L V6 24V VVT FLEXFUEL (STD), BLACK/LIGHT GRAYSTONE, CLOTH LOW-BACK BUCKET SEATS, Wheels: 17" x 6.5" Aluminum, Vinyl Door Trim Insert, Variable intermittent wipers, Valet Function. 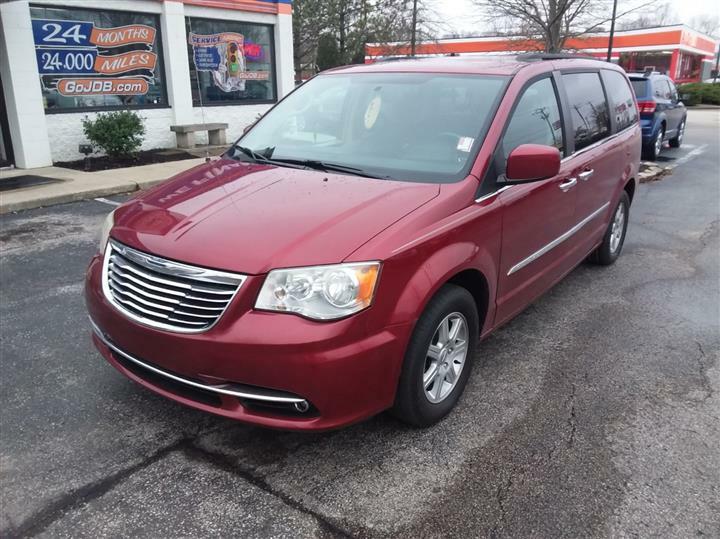 For a must-own Dodge Grand Caravan come see us at JD Byrider-IN116C, 2425 W 3rd St, Bloomington, IN 47404. Just minutes away!